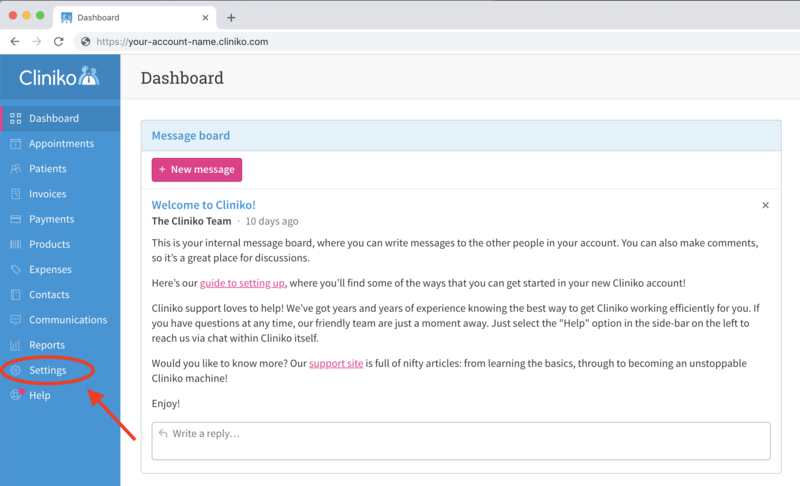 Already set up your Cliniko account? Learn how to link to your Cliniko account to Coviu. We've made it possible for Coviu appointments to magically appear in your Cliniko calendar. This means all of your appointment bookings will be conveniently located in Cliniko! In this tutorial, we'll show you how to prepare your Cliniko account so that you can link the account to Coviu later on. We'll be using the Settings page throughout this tutorial - you can find it at the bottom of the blue sidebar. You will need to enable online bookings on your Cliniko account so that patients can book appointments using Coviu. Navigate to the Settings page. Navigate to the Online Bookings page, found under the "Appointments" section. Cliniko allows you to manage your multiple businesses or practices all in a single account. You will need to enable online bookings for each Business that will be allowed to accept online bookings. Navigate to the Business information page, found under the "Our Clinic" section. 3. Click Edit information for a Business for which you would like to enable online bookings. 4. Move the Display this business in online bookings to "On". 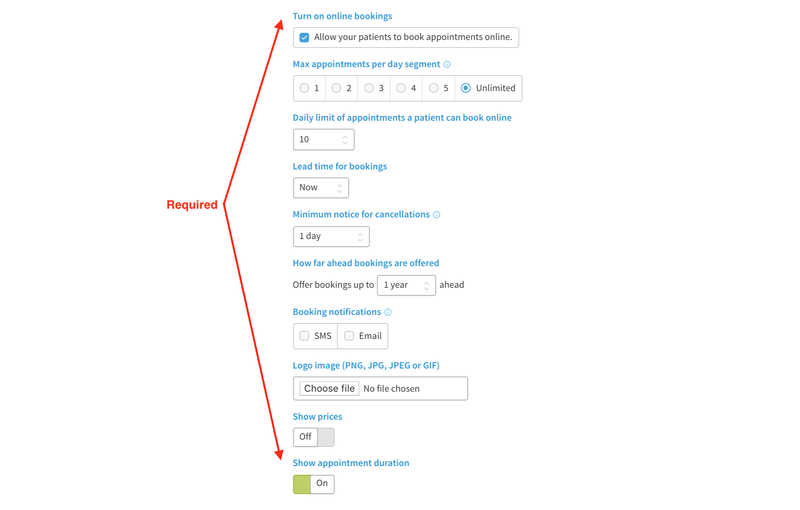 Cliniko allows you to specify which of your practitioners are able to accept online bookings. Like your businesses/practices, you will need to enable individual Practitioners to accept online bookings. 3. Click on a Practitioner for which you would like to enable online bookings. 4. Check the Online bookings checkbox. You're now ready to link your Cliniko account to Coviu. Next Up: Learn how to link your Cliniko account to your Coviu.